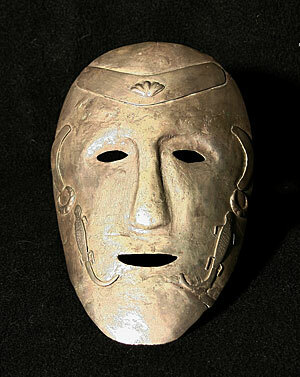 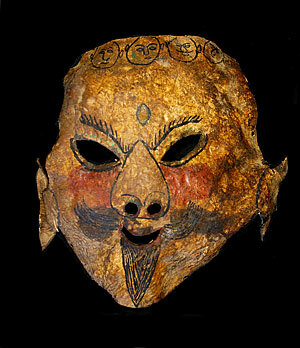 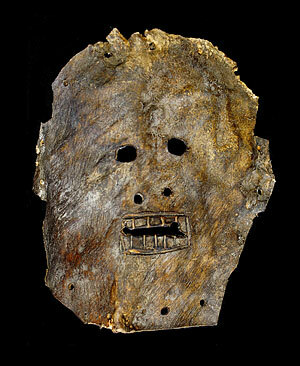 A: I have seen a few Nepalese leather masks like the most primitive one, but never one with colored drawings on it. 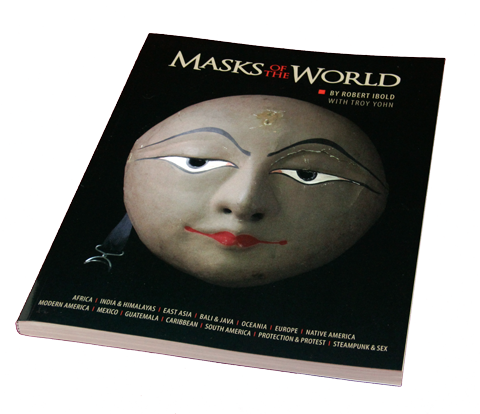 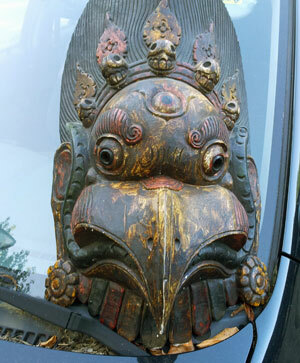 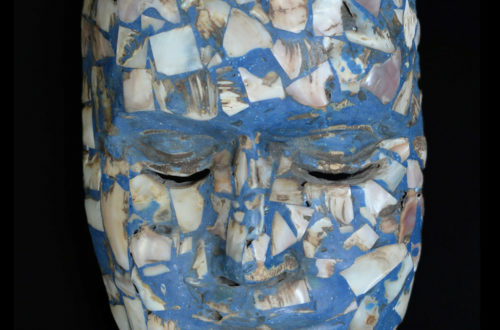 Though the Himalayan area favors wood and papier mache– leather, metal, cloth, skulls, turtle shells and large mushrooms are also used to make masks. 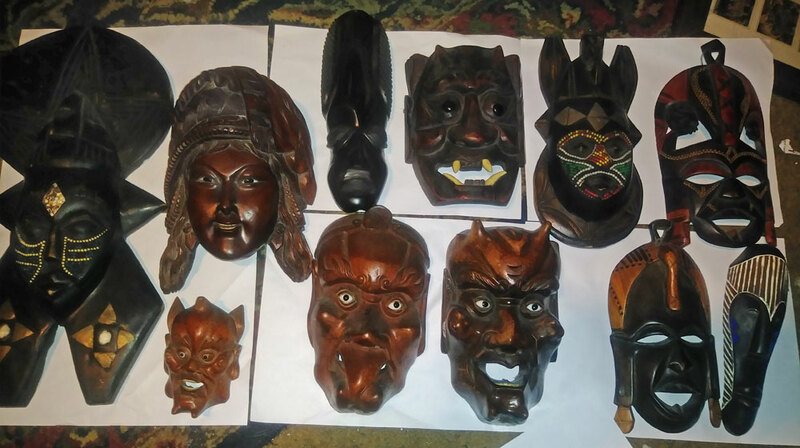 I’m going to assume these two are authentic Tantric masks, but who knows.